Dr. Aloupis is a board-certified Dermatologist with extensive experience in medical and cosmetic dermatology. She completed her undergraduate studies at Florida State University where she received her Bachelor of Science and subsequently received her medical degree and Master in Public Health at Nova Southeastern University in Fort Lauderdale, FL. Dr. Aloupis completed Family Practice residency at Broward General Medical Center-NSU in Fort Lauderdale, FL and became board certified in Family Practice March 2005. 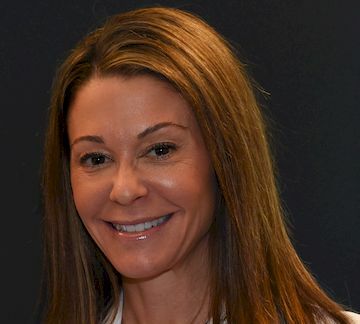 Dr. Aloupis then went on to complete her dermatology residency at Broward General Medical Center-NSU and became board certified in dermatology November of 2008. She is a member of the American Academy of Dermatology, the American Osteopathic College of Dermatology and the American Osteopathic Association. Dr. Aloupis, originally from Maine, has resided in Florida for over 25 years. She presently lives in Palm Beach Gardens with her husband Al, their daughter Ella, and their mastiff, Molly. Her hobbies include surfing, running, pilates, travel and spending time with family and friends.